They call it a “river of coal” that’s 80-feet deep and mined in 200-feet-wide increments at Spring Creek mine in southeastern Montana. The drag line’s boom, top center, is longer than a football field as it strips away overburden. A $12.5 million study takes a wide-ranging look at the impact of a proposed coal-export terminal in Longview. The combustion of coal from a proposed Longview export terminal could generate annually as much carbon pollution as 672,000 cars, according to a state and county draft study released Friday. 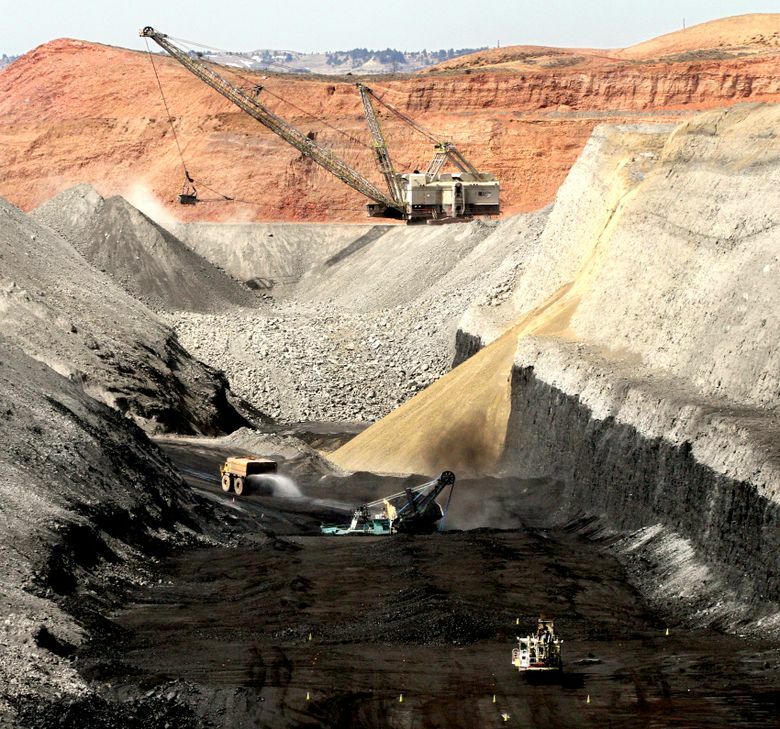 Up to 44 million tons of Western coal could be exported from the Millennium Bulk Terminals to Asia, and that could have “significant and adverse” impact on the climate, according to the report prepared under contract for the state Department of Ecology and Cowlitz County. The $12.5 million environmental-impact study looks at many other issues, including the effects of coal dust, the risks of derailments from eight coal trains a day and the marine impacts of adding up to 1,680 vessel trips each year on the Columbia. The final document, which is expected to be released next year, is intended to inform state, federal and county regulators responsible for permitting the project. The Longview project is one of two coal terminals proposed for Western Washington, both of which been fiercely opposed by environmentalists. They say Washington should not become a gateway for fossil-fuel exports that release carbon emissions that contribute to climate change. The increased train traffic required to haul the coal to port also has helped galvanize community and tribal opposition along the rail corridors. Project proponents argue that Western coal is a less-polluting substitute for some of the coal consumed in Asia. And they promote the terminal as an economic boost for Longview and an important new market outlet for the Western coal industry. Yet, even if the permits are approved, the project’s future is uncertain due to the dismal economics of the coal industry. The project, with a price tag expected to top $600 million, was proposed more than five years ago when China coal consumption was surging and international coal prices were climbing. Since then, China’s coal markets have cooled, international prices have nose-dived, and exporting western coal to Asia has become a money-losing venture. “This project won’t get built under today’s market conditions,” said Jan Hasselman, an attorney with Earthjustice and Power Past Coal, an alliance of environmental and other groups. One section of the study concludes the BNSF Railway would not have the capacity to handle additional trains for the proposed project and future rail traffic. Without additional investments, the study forecasts a 22 percent annual increase in Washington rail accidents. But Courtney Wallace, a BNSF spokeswoman, said safety is key to the company’s survival. She said the railroad is continually making investments to improve rail infrastructure and would spend the money required to accommodate the increased rail traffic. “In Washington, we are investing $220 million this year,” Wallace said. Now that the draft report is out, public hearings are scheduled on May 24 in Longview, May 26 in Spokane and June 2 in Pasco. There also is a 45-day public comment period that ends June 13.